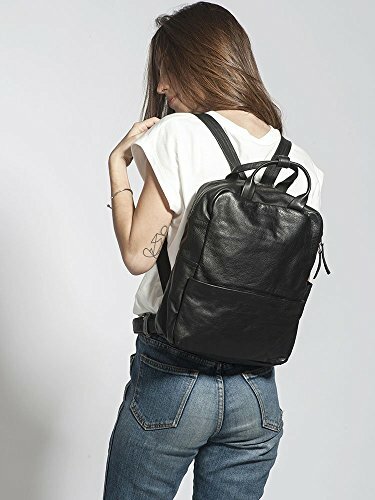 A super unique and lightweight unisex rucksack, this black city bag is handmade from super soft genuine leather. The perfect school bag for any high school or college student, it has a big compartment and zipped pocket on the inside and it's padded at the back to protect your laptop. The ideal modern backpack with enough room for all your daily essentials, it is wonderful for everyday use, as well as for 13" laptops, IPAD, A4 files, books and travel. High quality handmade leather bag from start to finish in my studio.